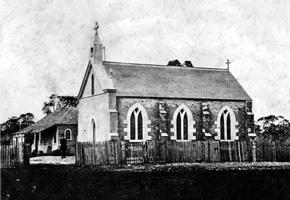 The genesis of Catholic ministry and education in Penola was inextricably linked with the settlement of the district and the foundation of the town by Highland Scots from the Lochaber region of Inverness-shire. Alexander Cameron, the first to arrive, applied for a 48 square mile occupation license on 19 December 1845,  and he had converted his original homestead into the Royal Oak Hotel by 23 November 1848. In March of the same year, the roving Vicar General, Father Michael Ryan, made his first visit to the district. Anderson moved swiftly and had completed his store, the second dwelling in the settlement,  by 31 May 1850, when he advertised in The Portland Guardian that he ‘begs to inform his friends, the Settlers and others, of the New Country, that he has just opened the [Penola Store]’. It was located on the east side of Portland Street, directly opposite the road to Robe (now Riddoch Street), on the site of the 1872 Catholic presbytery that later became the convent. 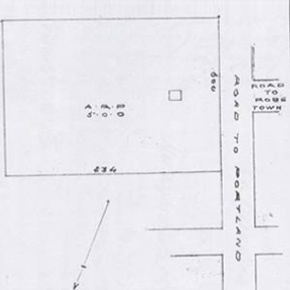 On 5 March 1851 Cameron agreed to sell five acres of this lease ‘attached to the store’  to Anderson, but the business failed, the title reverted to Cameron, and the store was leased by Robert Muir, and then George Gladstone. By 1854 Gladstone had built a new store across Portland Street on Allotment 108, which later became known as Cobb & Co. In that year Bishop Francis Murphy accompanied Father Ryan on his annual visit to Penola and, on 10 June 1854, bought the five acre title which included the store from Cameron for £300, to establish a permanent congregation. Mary MacKillop, however, later understood that ‘Mr Cameron was the squatter who owned Penola Station and gave the land on which the church was built.’  The various financial transactions involved with these early common law land titles were complicated, to say the least. This new stone presbytery is extant today, on the exact site of Anderson’s old store, although it later became a convent for the Sisters of Saint Joseph. The St Joseph’s Church that Woods built in 1859 survived, well buttressed, for 65 years until it was demolished in 1924 and replaced by the present edifice. 10. SA Old Systems Land Titles, 34.71: Indenture and Conveyance from Alexander Cameron Junior of Penola to Francis Murphy Bishop of Adelaide, as to 5 acres of Section 3 for £300, dated 10.6.1854. 20. The cottage was that of William Smith on Allotment 155, between the Church Land and Sharam’s Cottage. 21. Elizabeth Macilwain, The Johnston Family in Penola, in Penola Historical Selections Volume VI, Penola 2003, p110. 27. The stable was situated on Allotment 58, owned by William McDonald. It is now a memorial park. 31. The Border Watch, 23.5.1872 32. The Sisters lived there from 1882 to 1885 after the priests moved to Naracoorte. 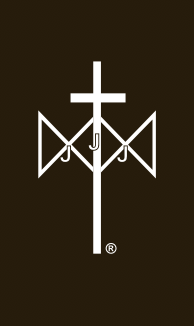 They returned for 1889 and again in 1936 when they opened the new St Joseph’s School, now the Mary MacKillop Memorial School.